Prosciutto and melon is an all-time favorite pairing. Skewer with bocconcini mozzarella cheese and basil and you’ll have the ultimate party bite. The dipping sauce made with honey, orange juice and balsamic adds a fun twist to the traditional flavors of prosciutto and melon. 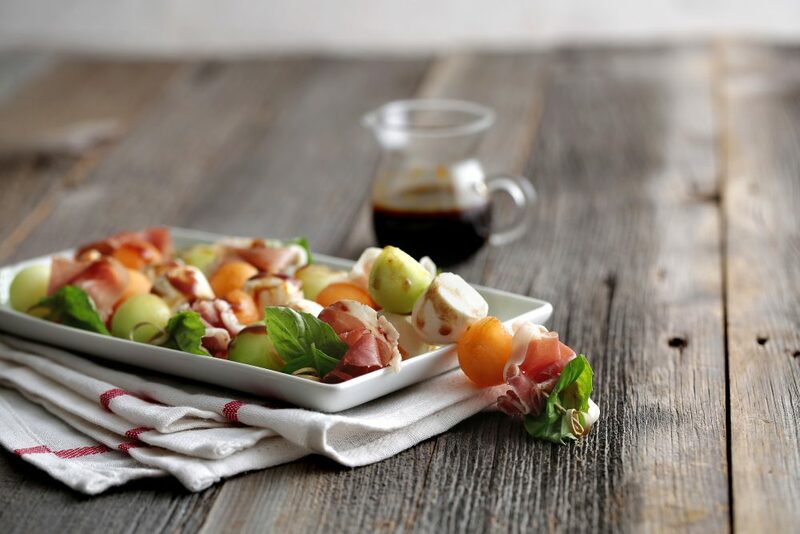 Arrange basil leaves, prosciutto, cantaloupe, bocconcini and honeydew on skewers. Whisk honey, balsamic vinegar, orange juice, olive oil and zest together until blended.